Like to take a look at a quick video of the highlights of this site, and what it can offer you, then click on the video image below. It only runs for a minute and 16 seconds and is a lot quicker than scanning through the content! Want to see your name on a board game, jigsaw, etc but don't know where to start? Or want to know which areas are the most profitable, and give you the best chance of success with little or no financial risk! Hi, my name is Shane and l have been inventing board game, jigsaw, brainteaser and puzzle ideas for the last 5-7 years. This site will teach you how to come up with 1 or more successful board game, etc ideas per year. Now...back to describing the benefits of this site. 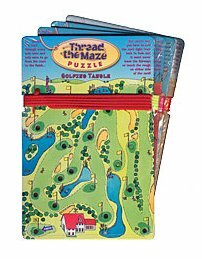 I successfully developed “Thread the Maze Puzzle” with Blue Opal; which had worldwide success. It took me 7 tries to develop this puzzle, although it could have taken longer! Most people when they develop an idea and go to a Toy Company, usually give up after they have failed 1 to 3 times. Which is a pity because if they kept trying, their chances of success would have increased! And almost developed a second very profitable idea; but because of a very important reason, covered in the free information making up this web site, didn't get accepted. The bottom line is that l have encapsulated my 5-7 years of game, etc inventing experience into this web site, which you can read and use to give you a substantial head start in this field. There are plenty of lessons that l learned the hard way that will save you years in lost time in pursuing ideas with poor odds of success. l will also show you the best and most profitable area that is left to have the greatest chance of success with the least effort. It's the area l try to stay in most of the time because of the proven, big, untapped potential. And believe me, coming up with a successful idea, which could potentially bring in thousands, hundreds of thousands to millions is exciting. After your first success you will be hooked! This site will also eventually have a Gallery of my 5-7 years of designs (puzzle, etc ideas). The About me page is where l will explain a little bit more about myself, why l set up this web site and if you are interested in setting up a web site yourself l will offer some very useful advice further on. And don't forget to get your free e-book downloads as well, on the about me page! Take a look at the 2010 New York Toy Fair, and some of the crazy, and innovative toys that have been released. Guaranteed to get your creative juices going! Click on these video stills to see a sample of the 2010 New York Toy Fair, and many more! And don't forget to take a look at the free games page! The page where you will find great free puzzle, motivational video, etc downloads! Just click on the free...Hungry Caterpillar Puzzle download sample below to take you there! And l have also reviewed the latest offering from Rubik as well as other games. Please click on the graphic to take a look! Well that's about it, l hope you enjoy my web site. “Please note that l will be adding content, pictures, etc on a regular bases, so come back again or send me an e-mail if what you are looking for isn't available”. And take a look at my Game Inventor Blog if you would like to be automatically notified when l add new designs, content, etc! To maximise your viewing experience of this web site please download the free Firefox browser here! The download and installation is very fast and easy, and you will probably want to stay with this browser after realising the advantages it has over Explorer! Toy and game puzzles will give you fun free downloads, free advice on board game design, etc and other useful freebies! Learn how to use your Subconscious mind to help create Boardgames, and Puzzle, etc ideas. 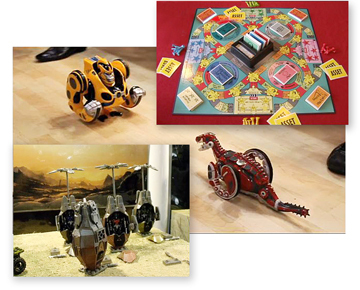 Trends are important as is Persuasion and especially..
Toy and Game Inventors Gallery. The inventors gallery will show you all the ideas l came up with (including a successful one) over a 5 to 7 year period. Toy and board game inventor-about me page. Toy and board game inventor-about me page, describes who l am, why and how l set up this website. 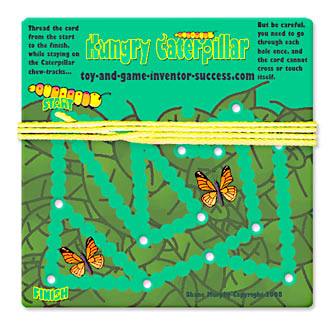 Contact me concerning the "toy-and-game-inventor-success.com" web site! Stay up to date with the toy and game inventor success-Blog, which will notify you of new designs, content, etc added to the "toy-and-game-inventor-success.com" website. Please subscribe here!